Themed Picture Books help to strengthen and maintain skills for speaking, listening, observing, inferring, critical thinking, communication, descriptive language, storytelling, vocabulary and imagination. Each photo is of common, everyday life events such as subjects of interest (animals, hobbies). There are no right or wrong answers so that the participant can express what they are observing and what they believe will happen next, while using their background knowledge and vocabulary to be as descriptive as possible. These high resolution photos are also great to just look at, if you decide not to use as the extended activity. You may choose to display each photo on a designated day of the week on a projector or from a computer/tablet for a better view. If you project the image onto a board, you would be able to circle details within the photo as tangible evidence of an idea or observation. As a whole group you may choose to have an open discussion. 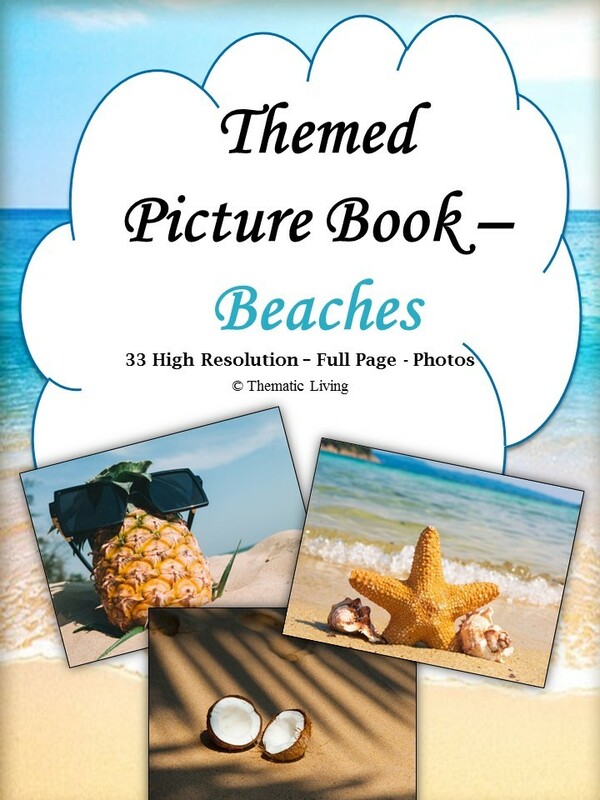 For small group or individual use you may choose to print off each picture and place into a binder using sheet protectors or laminate each photo for close observations and easy handling. You may use a tablet or computer, if printing is not an option to display each photo. Use the included questions that coincide with each photo as a guide for discussions or to lead a writing prompt activity. This activity can be completed by individuals with progressing dementia using some scaffolding.